Here at Jakata we love a good wedding and getting to style the whole wedding party of a regular client is always a great experience and honour. 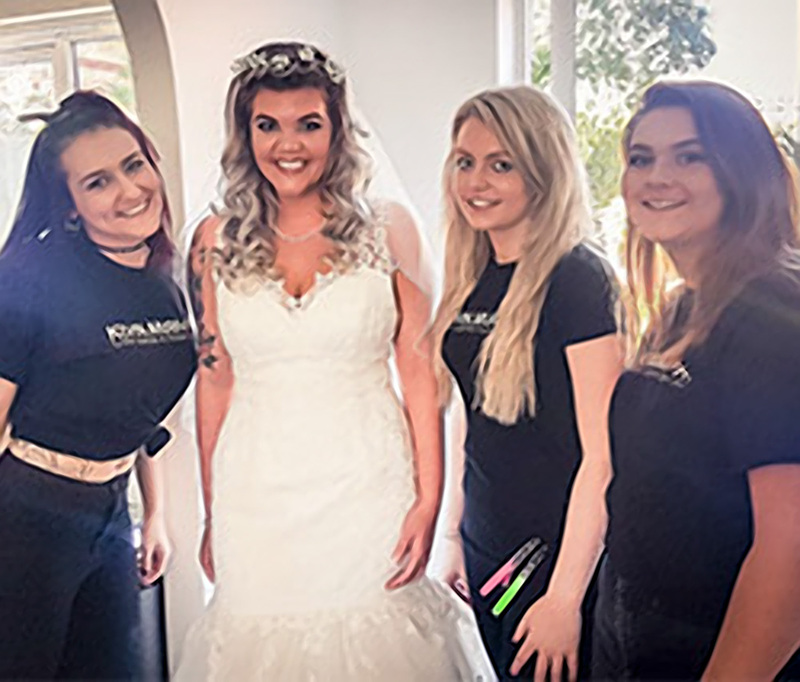 We started the wedding hair plans about a year ago, slowly lifting Nicole's hair to a lighter shade of silver and using the correct take home treatments to keep her hair in perfect shiny condition. At Jakata we also fitted a set of extensions and cut them in to give her the right hair length for the style we had chosen. The morning of the wedding the team arrived at 7am to start preparing the 7 bridesmaids, 1 flower girl, mother of the bride and the bride herself! Laura and Layla took on all 7 bridesmaids adding curls to each one and a beautiful pulled out braid, each one slightly different to suit face shapes. The bride had soft curls with a braided tiara and flowers within the braid for a BOHO natural feel. The styles lasted all day (and night). Nicole said "Yesterday was unreal!!! It all went to plan. You were amazing and I can't thank you enough!!" We finished each style with Kevin Murphy 'Session.Spray' and Shine spray. Everyone looked beautiful and all the planning made the morning run extremely smoothly. If you're planning your wedding, why not get in touch for a consultation.